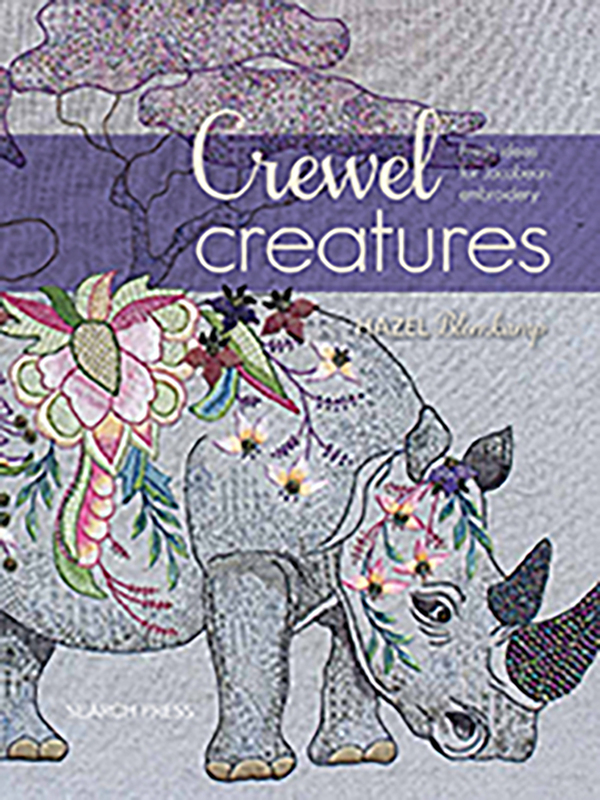 Animals and birds are popular subjects in crewel embroidery, and here Hazel introduces needleworkers to the beautiful, exotic creatures found in the African wild. Using the Jacobean embroidery style for which she is well known, and incorporating the subtle influence of the fractal designs found in zentangle art, Hazel also brings beads and other three-dimensional elements into her designs to capture the stunning and colourful art that is traditionally associated with Africa. Those new to Hazel’s work will find the essential crewel stitches, needle-lace and needle-weaving techniques needed in an easy-to-follow how-to section and stitch gallery inside the book, and all embroiderers will be impressed by the wealth of design ideas and inspiration Crewel Creatures has to offer. For readers looking for something different and new to stitch, and for those keen to challenge themselves with more complex embroidery techniques, this latest addition to Hazel’s Crewel series is an absolute must-have.